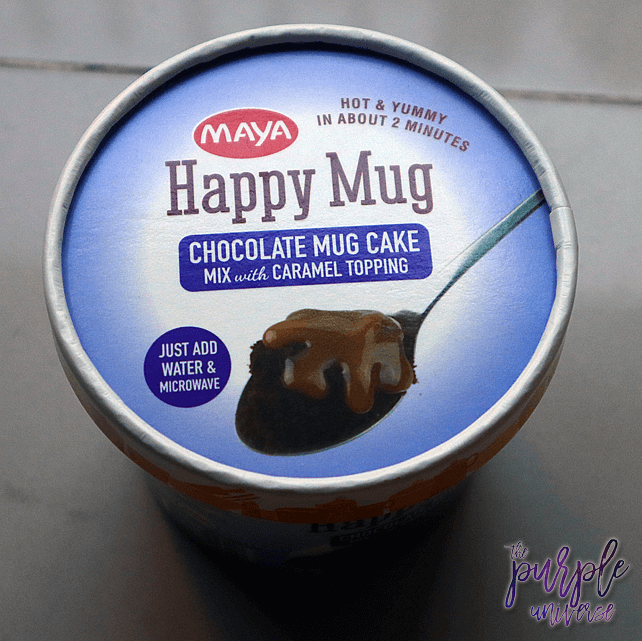 So I tried out the Maya Happy Mug, which is basically a kit where you can make your own mug cake. 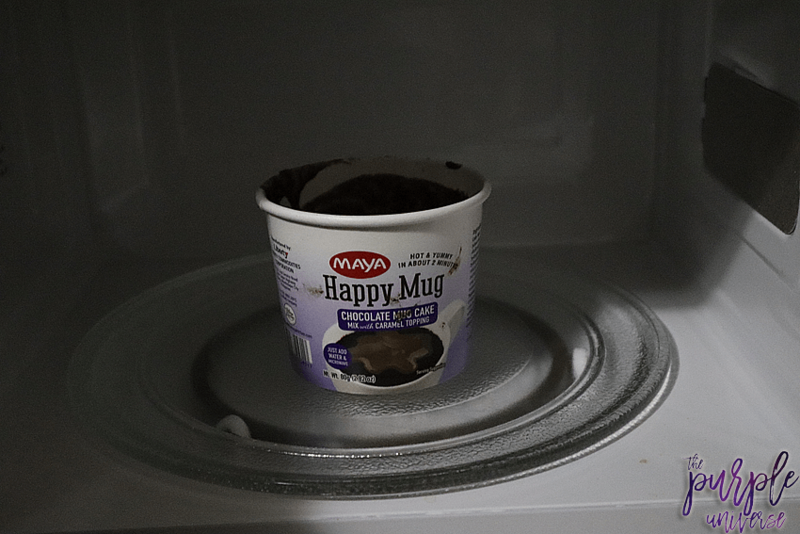 Now I was really excited to try this out because I, for one, have tried to make mug cakes from tutorials and somehow they always end up a disaster. It’s not that I just wing it, I actually follow the instructions very carefully and it still ends up a disaster. I like this kit because you don’t have to measure the ingredients out. This set comes with the cake mix, a mixing utensil, and the caramel topping. The instructions are written on the container. 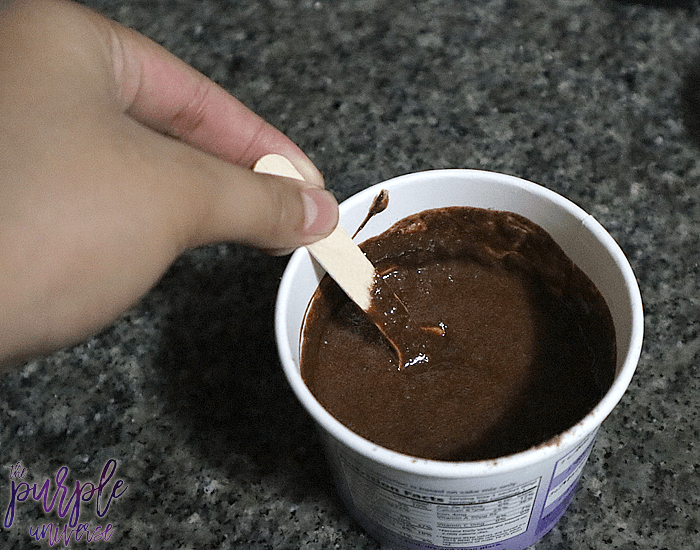 As you can see in the picture above, I am mixing the cake mix with water and there is a water mark/line that you have to fill up with water and mix in the cake mix. 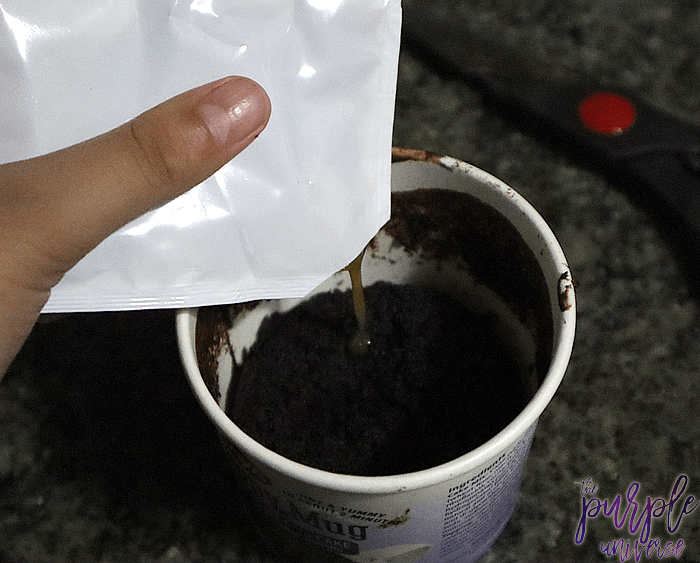 Once it looks smooth and super chocolaty, you’re gonna put it in the microwave for 1 ½ mins on medium high. (according to the instructions) But I do know that the time varies on how powerful your microwave is and mine took about 3 mins for it to cook fully. Don’t just leave it there though, you have to check on it or else it’ll overcook. 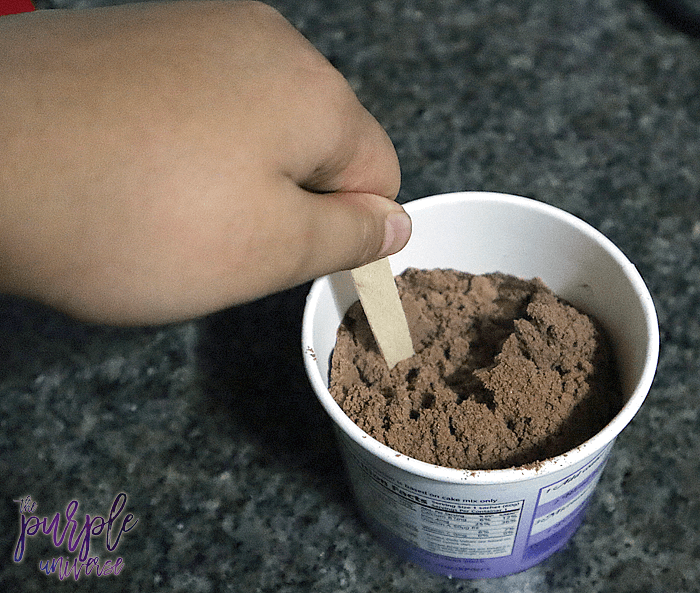 One way to check is by getting a toothpick or a stick and sticking it in the cake and if it comes out clean or just a tiny bit dirty it’s done. If it comes out dirty with chunks stinking to it you have to microwave it a little longer. When it’s done you can add the caramel topping or you can add whip cream or anything else you like on a cake. The last thing to do is…… Enjoy!! Eat up that sweet sweet cake!! The taste is pretty good. 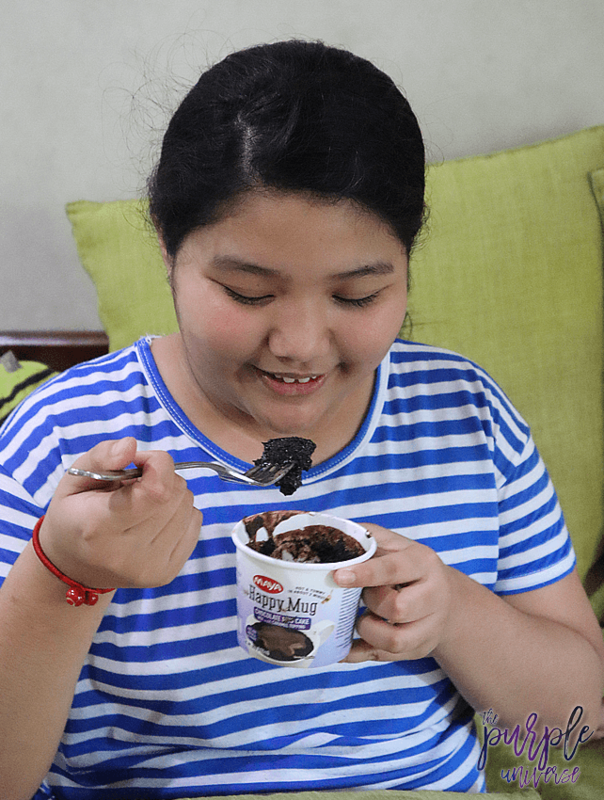 It’s sweet, chocolatey, moist, and soft and I really enjoyed it. Thank you for reading this and I hope you find it interesting and would want to read more content on my blog!! I’m working on a mug cake recipe right now and I’ve found that if you microwave it for the 90 seconds and then LET IT SIT for 2 minutes it will fully cook without getting over cooked! Hope this helps girl! I love a good mug cake. During the winter a mug cake is life~!